Adrianna has over 15 years of performance experience and has provided entertainment for countless events in Atlanta. From classical to pop to jazz, Adrianna enjoys performing a variety of genres and is skilled in customizing her playlists to suit her client's preferences. Book Adrianna today and enjoy beautiful live music for your wedding, party, cocktail hour, reception, corporate event, holiday party and more. 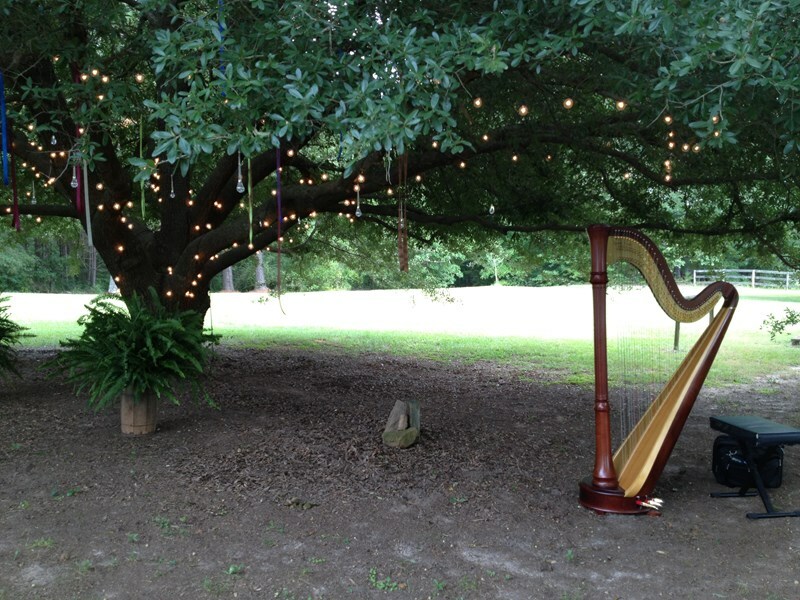 All wedding contracts include a free consultation where you can hear the harp and make selections for your ceremony! Adrianna holds a Bachelor's of Music from the University of Georgia where she studied under Monica Hargrave. Adrianna has performed internationally, touring with the UGA Wind Ensemble in Argentina and working as a solo artist with the Carl Von Osseitzky University's composition department in Oldenburg, Germany. Annie is an incredibly professional and accommodating musician. We wanted some nontraditional music at our wedding, and she quickly picked up the pieces we requested and made excellent suggestions for music that would fit our style. She attended our rehearsal with the music on her phone so the wedding planner could use it to cue the bridal party (the wedding planner was VERY impressed...she said she never had a musician do that). 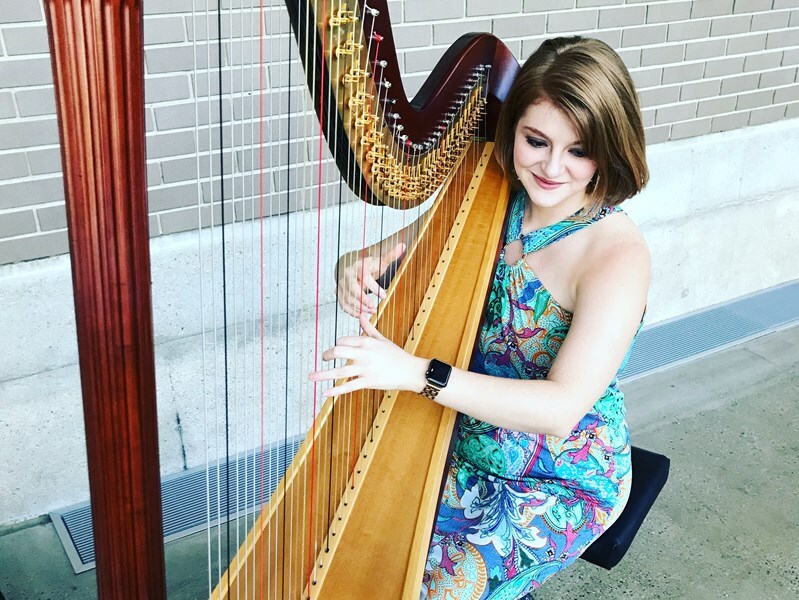 We loved having her as part of our wedding and highly recommend her to anyone interested in classing up their wedding with some lovely harp music! 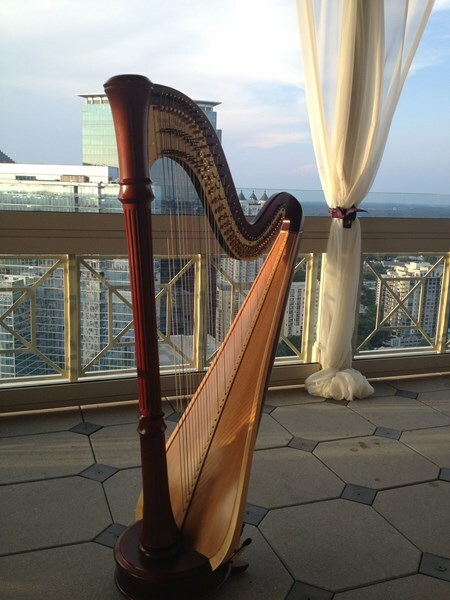 Please note Adrianna Wolaver- Atlanta Harp Music will also travel to East Point, Lawrenceville, Lilburn, Mansfield, Norcross, Thomasville, Decatur, Hampton, Mc Donough, Howard, Red Oak, Morrow, Stone Mountain, Tucker, Redan, Stockbridge, Clarkdale, Jonesboro, Rex, Locust Grove, Marietta, Ellenwood, Inman, Riverdale, Fayetteville, Forest Park, Griffin, Lovejoy, Conley, Jenkinsburg.